I share principles, recommendations, written exercises, and resources to help you accomplish those two goals in a way that works for you. One of the resources I recommend–primarily in the area of learning to eat adequately–is HealED and BulmiaHelp.org. Co-founder of the program, Richard Kerr, wrote a guest post for my blog at the end of 2014 about a technique for overcoming binge urges, and I wanted to have him back to talk about ending food restriction and implementing normal eating habits. Instead of just writing another blog post, he was kind enough to offer a 30-minute webinar for me to share here. 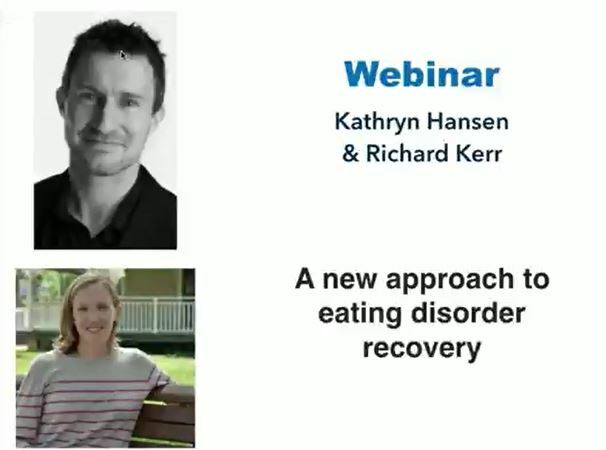 This webinar video will be immensely helpful to anyone who feels they need more guidance in learning how to eat during and after recovery, especially those who are having trouble giving up dieting. Update: HealED, founded by Richard and Ali Kerr, offers one-on-one coaching which is compatible with the Brain over Binge approach. Since I am no longer offering private coaching, I recommend that you contact HealED if you want this form of support.